A reminder about the conventions I’ll be attending this month. I’ll be in Indianapolis for Gen Con August 16th through 19th, Albuquerque for Bubonicon the 24th through 26th, and Atlanta for Dragon*Con the 31st through September 3rd. I’ll put up more details and my full schedule as each convention approaches. 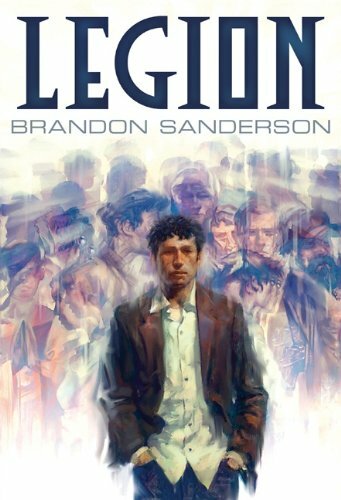 My novella LEGION comes out from Subterranean Press at the end of this month. I’ve talked about this before, but if you want to have one of the leatherbound limited editions when the book comes out, now’s a good time to order. I will also have a sample chapter up sometime later in August. The final ALCATRAZ VERSUS THE EVIL LIBRARIANS annotation is up, and it covers the epilogue and everything else at the end of the book. This will be the last annotation posted for a while. I’ve written some for THE ALLOY OF LAW—but only for the middle chapters of the book, so my assistant can’t start posting any until I get around to writing the others. It’s also possible that I will write annotations for THE WAY OF KINGS as I gear up to write the second book…but that takes time, and I’m raring to just start writing the book, so I’m not sure annotations will happen soon. We’ll see. The most recent Writing Excuses podcast episode features Eric James Stone joining Dan, Howard, Mary, and me to talk about basic astronomy for writers. There are lots of things that writers can potentially get wrong about astronomy, so give this episode a listen. The Galley Table Podcast from Flying Island Press did an interview with me while I was at BayCon back in May. I’m pretty sure I forgot to link to this episode before, but you can listen to it here.